Our *NEW* DK Knitter's Yarn is now available! Our New DK Knitter's Yarn is officially on the website and ready to ship! 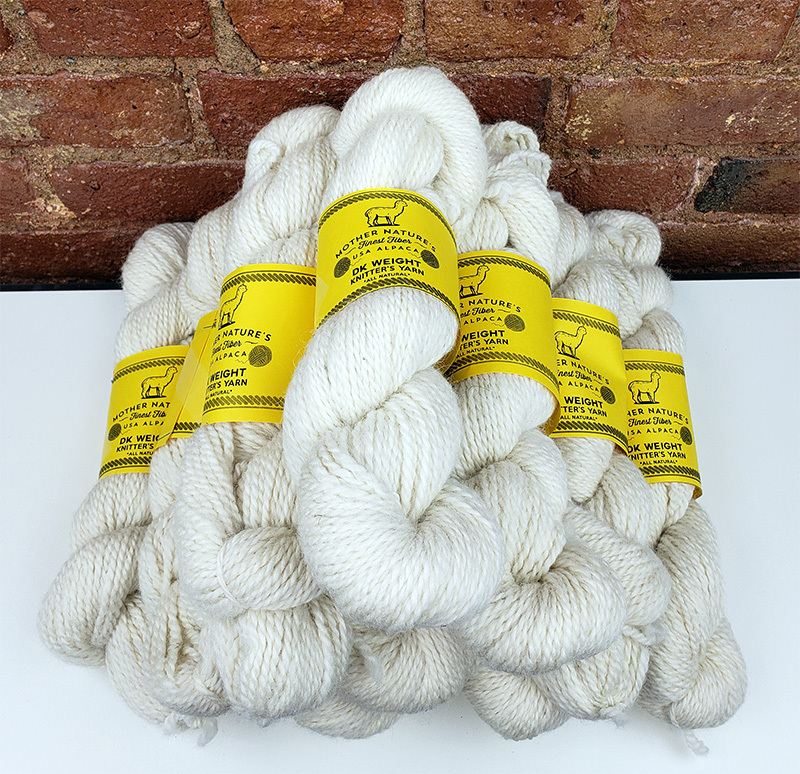 This new All Natural DK Weight Knitter's Yarn is made using U.S. Grown Alpaca blended with U.S. Merino Wool. It's soft, warm, and cozy and the DK weight is fast knitting and perfect for a wide range of patterns. Skeins are 3.5 oz and approximately 185 yards each. This yarn is a 2 ply, giving it nice hand and improved strength for a wide variety of projects. Soft, smooth, and bright - a truly beautiful yarn!